RUSH Construction, Inc. Welcomes Tony Landry as Director of Marine Division – RUSH, Inc.
Tony Landry’s extensive experience in construction makes him an asset to the RUSH leadership team. RUSH Construction, Inc. would like to welcome Mr. Tony Landry as Director of the RUSH Marine Division. 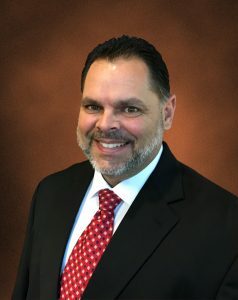 With 31 years of construction experience in heavy civil, marine and transportation markets, Landry is now responsible for leading the business development and marketing efforts for the company’s Marine Division as well as all aspects of project management, field operations, safety, and quality control. Tony Landry’s extensive knowledge of marine and heavy civil construction gives him the ability to take a project from design/estimating, through all construction phases and to its final completion. Prior to joining RUSH Construction, Tony served as Project Manager, Senior Project Manager, and for the last 10 years, Operations Manager covering the eastern seaboard for Orion Marine Construction, formerly known as Misener Marine Construction. “Tony understands the relationship-based environment that exists related to marine, heavy civil and transportation markets, making him an asset to the RUSH team, and an ideal person to lead our new Marine Division,” says William Chivers, RUSH President & CEO. The launching of a Marine Division allows RUSH to pursue opportunities in the design and construction of marine, heavy civil, and transportation projects.